Detail from “The Perils of Pauling”, National Observer, November 27, 1971. Growing up in the United States, many children today are told to drink plenty of orange juice to get their vitamin C, in part to avoid getting a cold. And indeed, vitamin C is now widely accepted as an important nutrient. Its antioxidant properties are valuable to cellular health and can protect against heart disease as well as the genetic damage that can lead to cancer and other dysfunctions. It aids the body’s production of collagen and other connective tissues, and is important for optimal healing from injury. It is also implicated in optimal neurotransmission (brain function), and stimulates the production of white blood cells important for immune health. This basic component of healthy living has been repeated so many times on television shows like “Sesame Street,” or in the classroom, or at home around the dinner table, that American children grow up recognizing vitamin C’s importance as an obvious fact of life. Perhaps surprisingly then, there is still little consensus in the medical community as to the ability of Vitamin C to significantly reduce the incidence, duration, or severity of the common cold. For Linus Pauling in 1971, it seemed so clear that Vitamin C was critical to human health that he felt compelled to publish his best-selling book, Vitamin C and the Common Cold, feeling that to withhold such simple and valuable information for the public’s general well-being would be negligent. His work sparked a vitamin C craze in America: after the book’s publication, consumption of vitamin C increased so much that bulk prices nearly tripled. The public certainly believed Pauling. Professional physicians, on the other hand, were highly critical. While the full benefits of vitamin C are better known now than was the case in Pauling’s day, even in the 1970s no one argued against the vitamin’s fundamental importance. The real argument that emerged was about how much Vitamin C was enough, and why. Oranges and other fruits and vegetables were known to prevent scurvy from at least 1753, when British naval physician James Lind reported on its effectiveness in treating this disease of nutritional deficiency. Vitamin C was first isolated in the early 1930s by Albert Szent-Györgyi, William Waugh, and Charles Glen King, and produced in the lab shortly after by Norman Haworth and Edmund Hirst. Unlike most mammals, human beings do not naturally synthesize vitamin C within our own bodies. Along with Guinea pigs, other primates, and fruit bats, we need to acquire the entirety of our vitamin C through our diet. The Federal Recommended Daily Allowance (RDA) was duly set at 60 mg each day – enough to keep one from falling prey to scurvy – by the time that Pauling arrived on the scene. To Irwin Stone, “giving someone enough vitamin C to prevent scurvy was like feeding them just enough to keep them from starving.” Stone, a biochemist, published on Vitamin C as a food preservative beginning in 1935. In the course of this research, he discerned that a 150 lb human would need to ingest 4 to 10 grams of Vitamin C a day in order to match what a healthy rat produces on its own. 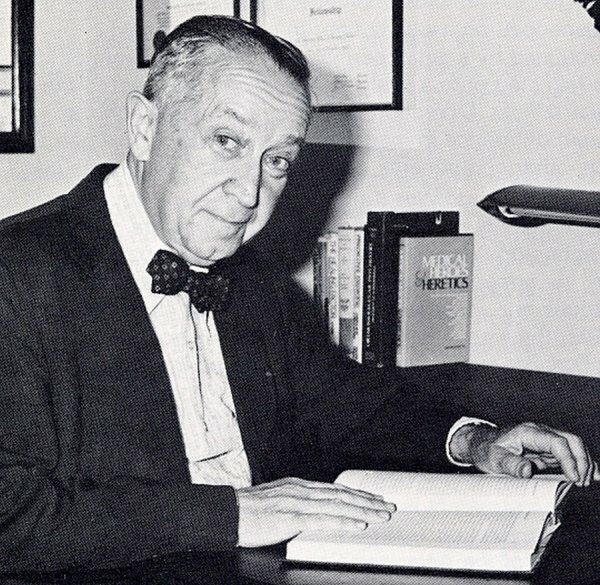 Stone met Pauling in 1966, not long after Pauling had delivered an acceptance speech for the Carl Neuberg Medal, awarded for Pauling’s assessment of sickle cell anemia as a molecular disease. In the speech, Pauling expressed his hope that he might live to see the medical advances that the next 15 years might bring. Afterward, Stone recommended that with vitamin C, Pauling (who was sixty-five years old at the time) might see the advances of the next fifty. His interest piqued, Pauling began taking 1 gram of Vitamin C per day, and by the late 1970s, this increased to 10 or more grams daily. Around the same time, the RDA was lowered to only 45 mg. In other words, Pauling was now taking over one hundred and sixty times the daily dose of Vitamin C recommended by the government. The concern in the medical community was, and continues to be, the potential for “overnutrition”; i.e., negative physical effects associated with consuming too much of a particular vitamin or mineral. As Pauling’s ideas gained increasing cultural currency, physicians began to warn that vitamin C consumed in such large doses might cause the development of kidney stones. Pauling countered that this was only likely in a small segment of the population – those with pre-existing hyperoxaluria – and that it could be entirely avoided by ingesting sodium ascorbate pills rather than ascorbic acid or natural sources. Pauling pointed out that, in fact, there were no health problems associated with high dose vitamin C intake other than potential stomach irritation and loose bowels – symptoms now known to occur with a daily intake of approximately two grams. For Pauling, the decision to take large doses in spite of these drawbacks seemed obvious. But for many clinicians it was not. Leading nutritionist Dr. Victor Herbert attacked Pauling’s claims as unsupported, as did FDA head Charles Edwards, who denounced Pauling as spurring a national frenzy over vitamin C with no scientific basis. This backlash begged the question, if the benefits of Vitamin C were really medically obvious, then why would physicians mislead the public? Medical Tribune, June 6, 1973. …right from the beginning I felt that the medical profession misled the public. If you don’t take ascorbic acid with your food you get scurvy, so the medical profession said that if you don’t get scurvy you are all right. I think this is a very grave error. Scurvy is not the first sign of the deficiency, but a premortal syndrome, and for full health you need much more, very much more. I am taking, myself, about 1 gram a day. having worked as a researcher in the field, it is my contention that an effective treatment for the common cold, a cure, is available, that is being ignored because of the monetary losses that would be inflicted on pharmaceutical manufacturers, professional journals, and doctors themselves. Pauling, in other words, wasn’t alone in staking out this controversial ground. 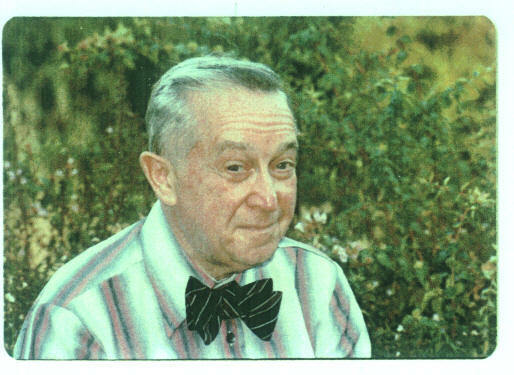 Dr. Irwin Stone was a biochemist and chemical engineer who maintained a particular interest in and enthusiasm for vitamin C. Stone was the person who first raised Linus Pauling’s interest in vitamin C, leading to Pauling’s extensive program of research on vitamin C and its uses for the prevention and treatment of disease. Pauling’s contributions to the field are one of the big reasons why many people believe in taking vitamin C for the prevention and treatment of colds today. But for Pauling, it all started with Irwin Stone. Stone was born in 1907 and grew up in New York City. He attended the College of the City of New York and then worked at the Pease Laboratories, a well-known biological and chemical consulting lab, from 1924 to 1934. Stone started out as a bacteriologist, but was promoted to Assistant to the Chief Chemist and then to Chief Chemist. In 1934 the Wallerstein Company, a large manufacturer of industrial enzymes, recruited Stone to set up and direct an enzyme and fermentation research laboratory. Ascorbic acid, or vitamin C, had just been identified and synthesized by a Hungarian research team led by Albert Szent-Györgyi, who later won the 1937 Nobel Prize in Medicine for his work. Stone pioneered processes for implementing the antioxidant properties of ascorbic acid in industrial settings. One specific application that Stone developed was the use of ascorbic acid as a preservative for food – an innovation that landed him three patents. Stone’s interest in vitamin C lasted throughout his life. He began to study scurvy intensely and by the late 1950s he had formulated a hypothesis that scurvy was not merely a dietary issue, but a flaw in human genetics. (He called it “a universal, potentially-fatal human birth defect for the liver enzyme GLO.”) Stone considered the amount of vitamin C that nutritionists recommended in a healthy diet – the Recommended Daily Allowance (RDA) – to be far from sufficient. In 1968 that recommendation was 55 mg for women and 60 mg for men. The current standard is slightly increased at 75 mg for women and 90 mg for men, with higher recommendations for pregnant and lactating women. But none of these figures are anywhere near Stone’s recommendations. Stone believed that humans suffer from “hypoascorbemia,” a severe deficiency of vitamin C, caused by our inability to synthesize the substance the way that virtually all other mammals do. Most other mammals synthesize vitamin C in large quantities relative to body weight; proportionately, humans theoretically should be taking between 10-20 grams daily. Stone suggested that about 25 million years ago the primate ancestors of human beings lived in an environment in which they were able to consume relatively massive amounts of ascorbic acid, compared with what we get from our diets today. These material circumstances created an environment in which a genetic mutation occurred that allowed these human ancestors to stop synthesizing the substance. In present day, Stone noted, these amounts of ascorbic acid are not readily available in our diets, so humans may only be getting 1-2% of what they need. This hypothesis initially led Stone to propose a vitamin C intake of 3 grams for optimal health, 50 times the RDA, and as he further researched ascorbic acid, he recommended increasingly higher doses. He was convinced that taking less than the amount that he recommended would cause “chronic subclinical scurvy,” a state of lowered immunity that increased susceptibility to a variety of illnesses. He felt that large doses of ascorbic acid should be used to prevent and treat infectious and cardiovascular diseases, collagen breakdown, cancer, SIDS, birth defects, AIDS, and health problems normally associated with aging. Practicing what he preached, Stone and his wife began taking megadoses of vitamin C and they found that it greatly improved their overall health. When the couple both incurred injuries from a serious car accident, they treated themselves in part with large doses of vitamin C and reported a swift recovery. 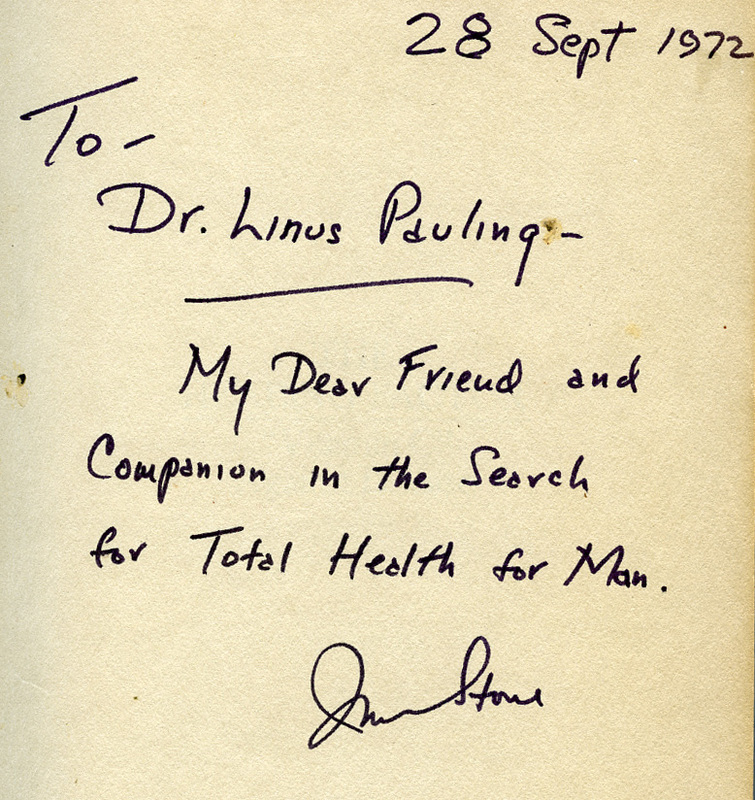 Stone attributed their rapid healing to the large doses of vitamin C.
Letter from Irwin Stone to Linus Pauling, April 4, 1966. 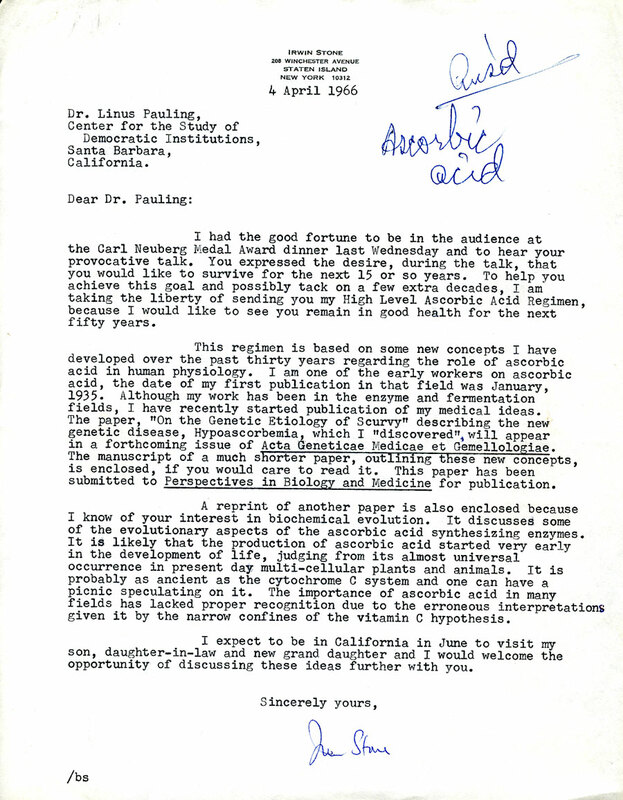 This is the communication that spurred Pauling’s interest in vitamin C.
In March 1966, Linus Pauling gave a speech on the occasion of his receiving the Carl Neuberg Medal for his work in integrating new medical and biological knowledge. In the speech, Pauling – who was 65 years old at the time – mentioned that he hoped to live for another fifteen years so that he might see several advances of science in medicine that he anticipated to be emerging during that time period. You expressed the desire, during the talk, that you would like to survive for the next 15 or so years….I am taking the liberty of sending you my High Level Ascorbic Acid Regimen, because I would like to see you remain in good health for the next 50 years. Pauling was initially skeptical of Stone’s advice, but he had recently learned about other uses of megavitamin therapy and their successes, so he decided to give the regimen a try. It was at that point that Linus and Ava Helen Pauling began taking 3 grams of vitamin C a day. Pauling, as it turned out, was impressed by the results. For most of his adult life, he had suffered from severe colds several times a year and had taken a daily dose of penicillin off and on from 1948 to the early 1960s. Pauling thought that the penicillin doses were his primary defense against colds but, in all likelihood, he was probably just killing off his good bacteria and making himself more susceptible to colds through his overuse of antibiotics. Once the Paulings started taking vitamin C, they reporting a noticeable uptick in their physical and emotional energy, and seemed to suffer from fewer colds. Two years after their initial communications, Stone noticed that Pauling had cited him in a recently published journal article. Stone described his difficulties in getting his research published and the backlash that he was experiencing from physicians. He also asked about Pauling’s health. The last time I wrote you in 1966, you mentioned that you were going to try my high level ascorbic acid regimen to see if it would help prevent your catching colds. How did it work? At the time you also had a broken leg. I know from personal experience [a reference to his car accident] that it is excellent in bone healing. I can report that both my wife and I have been less troubled by colds during the last two years, during which we have been taking 3 to 5 grams of ascorbic a day, than we had been before beginning your regimen. He also asked about Stone’s research on ascorbic acid and leukemia. 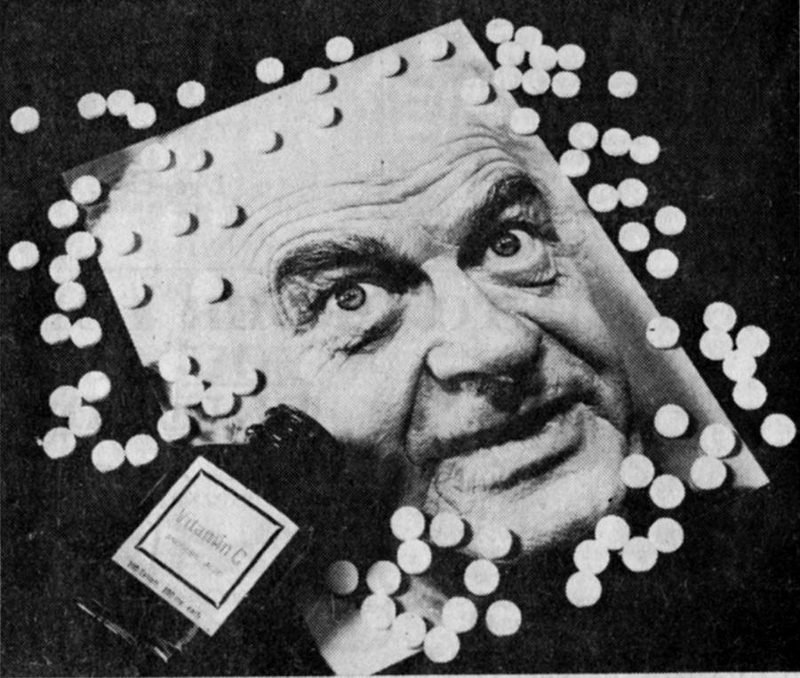 During the late 1960s, Pauling did not make a point of promoting vitamin C megadoses, though he did support the use of megavitamin therapy for the treatment of schizophrenia. But by 1969, he was finally fully convinced of Irwin Stone’s arguments as well as his own personal successes with vitamin C, and he began to promote vitamin C publicly. 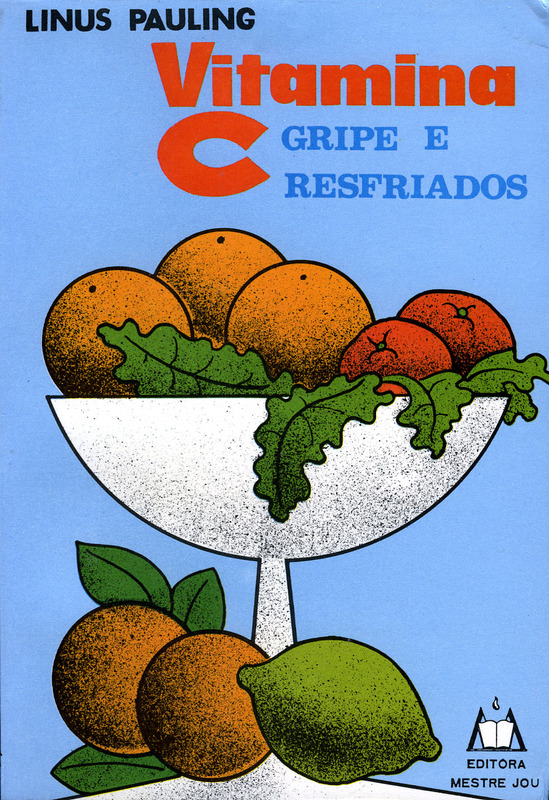 Portuguese edition of Vitamin C and the Common Cold, a book that was translated into nine different languages. Pauling’s reading of the literature convinced him that the more vitamin C you took, approaching megadose levels, the lower your chances of getting sick, and the less sick you got. It was at this point that Pauling made what I consider to be a fundamental mistake. He decided to publish his ideas without peer review, in the form of a popular book. He did not feel he could wait. He had, he thought, good evidence that a cheap, apparently safe, easily available nutrient could prevent at least an appreciable fraction of a population from suffering through an affliction that made millions of people miserable. And there might be even greater results. Pauling had read of small villages, snowbound in the winter, where no one got colds because there was no reservoir of respiratory viruses to pass around. When visitors arrived in the spring, they would bring colds with them, and everyone would suffer. What if, through the use of vitamin C, a great many more people strengthened their resistance to colds? The two hundred or so cold viruses rampant in the world would have many fewer places to replicate themselves. The spread of colds would lessen; the population of cold viruses would decrease. “If the incidence of colds could be reduced enough throughout the world,” Pauling thought, “the common cold would dis­appear, as smallpox has in the British Isles. I foresee the achievement of this goal, perhaps within a decade or two, for some parts of the world.” Vitamin C, properly and widely used, might mean the end of the common cold. 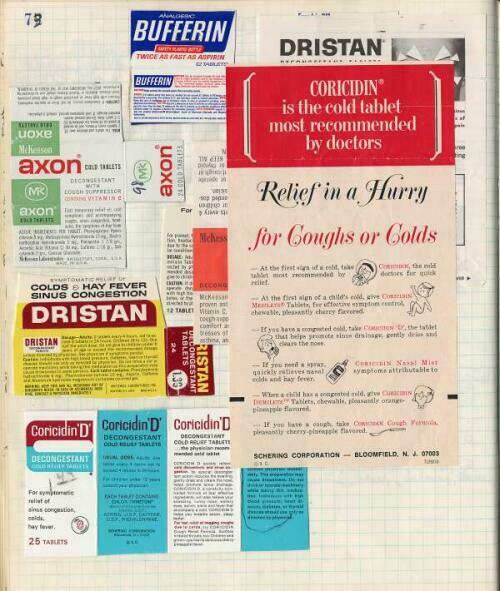 Packaging for commercial cold remedies pasted by Pauling into his research notebook, July 1970. This, of course, would not only greatly lessen the amount of suffer­ing in the world; it would increase the fame of Linus Pauling. He was nearing seventy years of age. It had been nearly twenty years since he had captured international attention for his scientific work with proteins, and won the Nobel Prize for chemistry. His efforts had gone to politics in the years since, and none of his recent scientific work had had much impact. Science was moving on without him. He was becoming a historical figure. Pauling did not feel like one. He was not ready for emeritus status, trotted out at honorary occasions, shunted aside while the young men made the discoveries. He was still strong, still smart, still a fighter. Or­thomolecular medicine was the newest of his grand plans, and no one had shown that his ideas about creating an optimal molecular environ­ment for the body and mind were wrong. The evidence he had uncov­ered about ascorbic acid and colds, evidence that showed human health could be improved by increasing the amount of vitamin C in the body, was the strongest indication yet that he was right. Bringing it to the public’s attention would not only be good for the public; it would be a striking example of the correctness of his general theory. Pauling’s book Vitamin C and the Common Cold, written in his usual clear, well-organized, straightforward style, presented the results of his literature search. He discussed the findings of five controlled trials that supported his idea, several anecdotal instances of physicians who had treated colds with vitamin C, and evidence that ascorbic acid was safe in large doses. Pauling felt confident that a several-gram daily dose would do no more harm than to cause loose stools, that vitamin C was safe, especially compared with potentially toxic, commonly avail­able over-the-counter medications such as aspirin. The rest of the book was a summary of his orthomolecular thinking and Irwin Stone’s ideas about evolution. A good deal of space was devoted to the topic of bio­chemical individuality, which resulted in a wide personal variation in the need for vitamin C and other nutrients. On November 18, 1970, prepublication galleys were released to the press, and an unprecedented public roller-coaster ride began. The next day, the New York Times quoted Pauling as saying that humans needed between 1 and 4 grams of vitamin C per day to achieve optimal health and prevent colds. Pauling also took the occasion to slam the medical establishment – from drug companies to medical journals and physicians – for attempting to quash the evidence in favor of ascorbic acid. Why would they do that? the reporter asked. Look at the cold-remedy industry, Pauling said: It was worth $50 million per year, and that bought a lot of advertising space in medical magazines. This quickly alienated both physicians and the editors of medical journals, neither of whom liked the implication that profits were more important than health. The medical establishment felt it necessary to respond, and respond quickly, once they saw how Pauling’s idea took off. The book sold wildly, and so did vitamin C. Pauling’s timing, at least on the public side, was superb. The 1960s had seen a resurgence of interest in “natural” health based on a holistic attitude that said body, mind, and soul were one. Many streams fed into this alternative health movement: a back-to-the-land, organic-foods orientation; a fas­cination with yoga, acupuncture, meditation, and other Eastern health practices; the rediscovery of the lost Western arts of naturopathy and homeopathy. Pauling’s message about vitamin C resonated with mil­lions of people who were reacting against corporate, reductionistic, paternalistic medicine, with its reliance on drug therapy, with people taking a renewed responsibility for their own health and trying to do it naturally. It was delivered just as natural food stores were popping up on corners in every town in America, each one stocked with a section for herbal remedies, a rack for magazines on alternative health regi­mens, and plenty of shelf space for vitamins. The reaction was swift. The physician-head of the Food and Drug Administration (FDA), Charles C. Edwards, announced to the press that the national run on vitamin C was “ridiculous” and that “there is no scientific evidence and never have been any meaningful studies in­dicating that vitamin C is capable of preventing or curing colds.” The FDA, Pauling found, had proposed in 1966 that no vitamin C tablets over 100 mg be available without a prescription, and he responded to Edwards with sarcasm. If the FDA had its way and he wanted to take 10 grams of vitamin C to fight off a cold without going to a physician for a prescription, Pauling said, he would have to take 100 tablets. “I think I would have as much trouble swallowing all these tablets as I would swallowing some of the statements made by the Food and Drug Ad­ministration in proposing these regulations,” he said. The medical press was equally critical of Pauling. The American Journal of Public Health said that Pauling’s book was “little more than theoretical speculation.” The Journal of the American Medical Association said of Pauling’s book, “Here are found, not the guarded statements of a philosopher or scientist seeking truths, but the clear, incisive sentences of an advertiser with something to sell. . . . 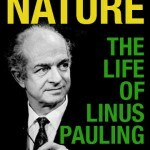 The many admirers of Linus Pauling will wish he had not written this book.” The Medical Letter launched the harshest attack yet, saying Pauling’s conclusions “are derived from uncontrolled or inadequately controlled clinical studies, and from personal experience” and pointing out that there was no good evidence that vitamin C was safe when taken over a long period of time in large doses. The controversy over Pauling’s book arose from a simple fact: He had not made his case. The book was a combination of his interesting but unproven speculations about orthomolecular medicine and the human evolutionary need for ascorbic acid, coupled with a select handful of studies that indicated that vitamin C could prevent or ame­liorate colds in a fraction of a population. That might make an inter­esting conference paper, but it was little reason to advocate a wholesale change in the dietary habits of a nation. His critics pointed out that he had no clear theory of how vitamin C exerted it powers and that there was no good study – no study at all – establishing that the long-term ingestion of megadoses of vitamin C was safe. The current dogma in the medical profession was that vitamins were needed only in the small amounts provided by a well-balanced diet. Taking grams of vitamin C every day might cause everything from gastric upset to kid­ney stones, and who knew what else? The way he had gone about publicizing his ideas, sidestepping the normal channels of scientific peer review to publish a popular book, also fueled criticism. He was behaving like a health faddist, not a scien­tist. In the eyes of most physicians – generally conservative about new therapies, disdainful of the holistic health movement, trained to be­lieve that vitamin C was needed only to prevent scurvy – Pauling looked like a nutritional quack, a vitamin pusher who was essentially prescribing without a license. Typically, Pauling fought back. To pursue his ideas, in 1973 he cofounded (with Arthur Robinson, a young colleague who later moved to Oregon and this year ran for Congress) the Institute of Orthomolecular Medicine in Palo Alto, California. He went on to publish more books, adding the flu as another disease vitamin C could fight, then Vitamin C and Cancer, and finally compiled all his ideas into How to Live Longer and Feel Better. Anecdote published in Chemtech, September 1994. Criticism from the medical community has never let up. A general belief still exists in most – although not all – of the medical community that Pauling went off his rocker. However, despite what many physicians believe, the jury is still out. A significant amount of active biomedical research research continues to examine the effects of micronutrients on a variety of conditions. For instance the Linus Pauling Institute at Oregon State University (successor to Pauling’s Orthomolecular Institute) maintains a highly successful research program in 12 laboratories funded with millions of dollars of competitive grant funding. The Institute’s head, Balz Frei, believes that Pauling’s basic approach remains sound – but that his arguments with physicians might have caused as much damage to the study of nutritional science as they did good. In my own view, by putting personal controversy ahead of reasoned consensus both Pauling and his critics polarized the public into groups that still have trouble communicating with each other. Pauling’s work helped give birth to today’s booming market in nutritional supplements. Vitamin C remains the world’s largest-selling supplement. A large number of advocates strongly believe that ingesting vitamins in amounts far above the RDA can help optimize human health, especially by preventing chronic disease. There is a growing understanding that the key in these studies – as Pauling pointed out long ago – is not to look for vitamins to act like pharmaceuticals, exerting significant effects at low doses, but more like nutrients, with less dramatic effects that accumulate at much higher doses. 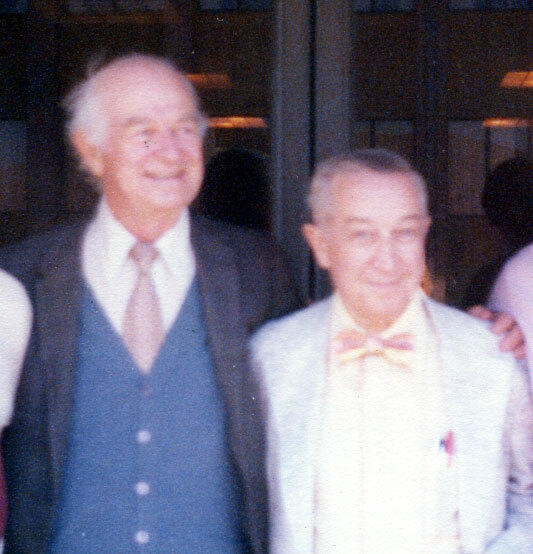 Linus Pauling himself lived an active life well into his nineties, performing useful research until the end. He was taking many grams of Vitamin C every day. Will the controversy he started ever end? Was he a genius, or a crank?